1st Infantry Regiment Washington D.C. Organized at Washington, D.C., July 23 to October 25, 1861. Attached to Provisional Brigade, Casey's Division, Army of the Potomac, to November, 1861. Robinson's Brigade, Army of the Potomac, to December, 1861. Railroad guard, Bladensburg, Md., to May, 1862. Miles' Command, Harper's Ferry, W. Va., to June, 1862. 2nd Brigade, Sigel's Division, Dept. of the Shenandoah, to July, 1862. 2nd Brigade, 2nd Division, 2nd Army Corps, Army of Virginia, to August, 1862. 3rd Brigade, 2nd Division, 2nd Army Corps, Army of Virginia, to September, 1862. 3rd Brigade, 2nd Division, 12th Army Corps, Army of the Potomac, to October, 1862. District of Alexandria, Defenses of Washington, D. C, to February, 1863. Slough's Command, Defenses of Alexandria, 22nd Army Corps, Dept. of Washington, to February, 1865. SERVICE.--Duty in the Defenses of Washington, D.C., until December, 1861. Guard R. R. near Bladensburg, Md., until May, 1862. Ordered to Harper's Ferry, W. Va. Defense of Harper's Ferry, W. Va., May 24-30. Operations in the Shenandoah Valley, Va., until August. 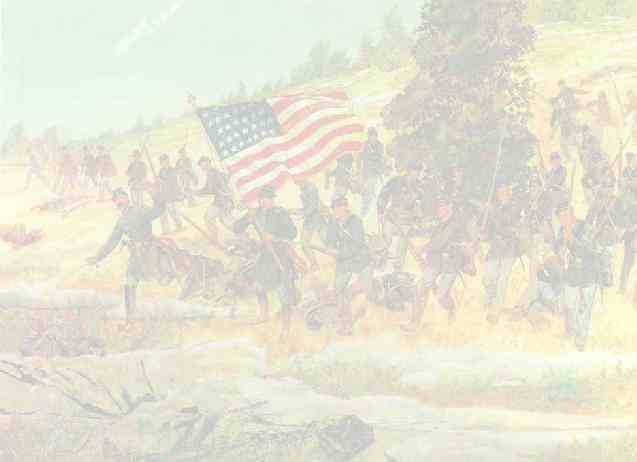 Battle of Cedar Mountain August 9. Pope's Campaign in Northern Virginia August 16-September 2. Fords of the Rappahannock August 28-26. Plains of Manassas August 27-29. Battle of Bull Run August 29-30 (Reserve). Moved to Washington, D.C., and duty in the defenses of that city and Alexandria, Va., until February, 1865. Repulse of Early's attack on Washington July 11-13, 1864. Consolidated with 2nd Regiment District of Columbia Infantry February 28, 1865.